- Don't waste your money on expensive advertising & marketing that does not fit your budget and does not generate any sizable return; we have one proven solution that will help you achieve all four of your goals! "Custom gear is the best proven way to increase your academy's name, build student loyalty, and generate a secure profit every single time!" 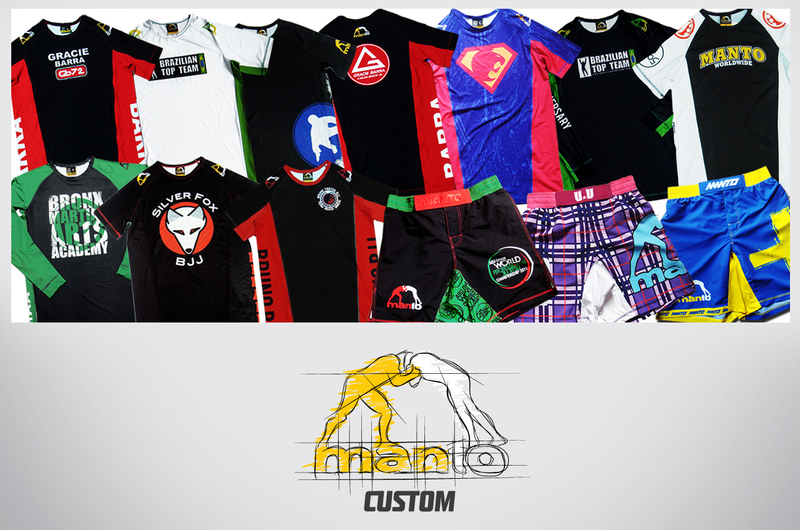 MANTO is the world renown industry leader in the field of custom rashguards, shorts and BJJ Gis. We have provided top quality, branded gear to some of the worlds best teams, Gracie Barra, Alliance, Renzo Gracie, Marcelo Garcia, Athletic Advance, Team Balance, and many more!